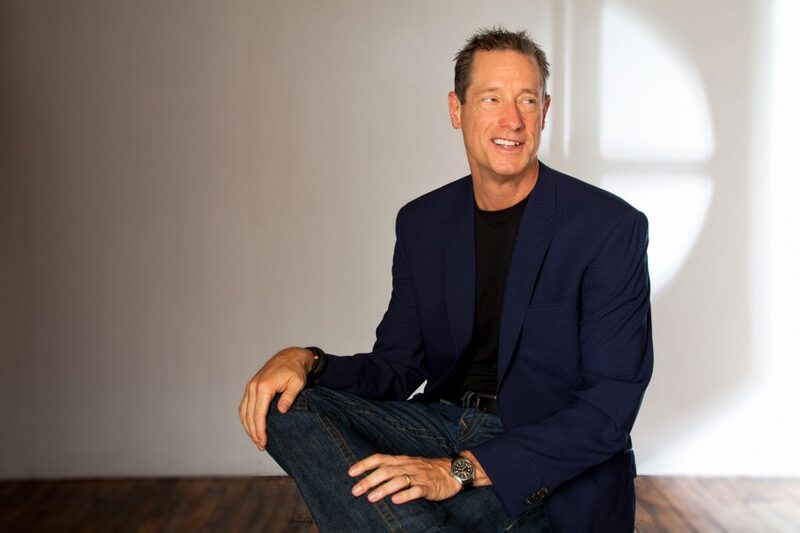 Internationally-acclaimed strategist David Meerman Scott’s books and blog are must-reads for professionals seeking to generate attention in ways that grow their business. Scott’s advice and insights help people, products and organizations stand out, get noticed, and capture hearts and minds. He is the author or co-author of ten books, including three international bestsellers. Scott pioneered the modern use of the term “newsjacking” in 2011, during a tumultuous 24/7 news year; full of natural disasters, scandals, political upheaval, and pop culture entertainment. Scott joins us tomorrow for our next Virtual Conference Webinar, Back to School for Year-End Fundraising. Register today to reserve your spot. 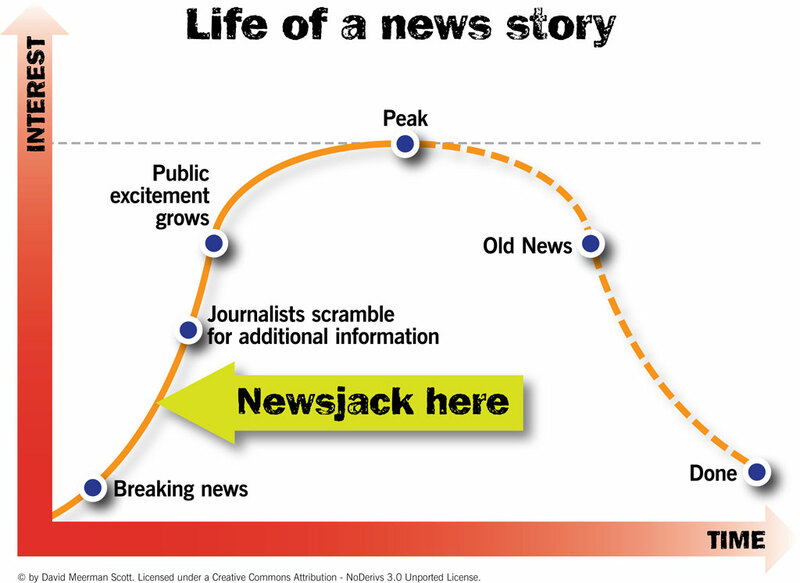 What inspired the term newsjacking? I didn’t invent the term newsjacking. Blending ‘news’ and ‘hijacking,’ the word itself dates back to the 1970s with reference to the theft of newspapers in the United Kingdom in order to sell them to scrap dealers. However, I did pioneer its contemporary iteration in 2011 when I realized that the power of real-time meant that any person or organization can create content and get it noticed. That year, 2011, was important because that’s when Google started indexing blog posts in real time. It made Oxford Dictionaries’ shortlist for word of the year in 2017, defined as “the practice of taking advantage of current events or news stories in such a way as to promote or advertise one’s product or brand.” How does that translate to nonprofit communications and fundraising? I’ve been writing and speaking about newsjacking for seven years, so at first I was very surprised that the word made the list in 2017. But with the rise of real-time media, particularly the use by Donald Trump of real-time techniques including newsjacking to get elected, it makes sense that the idea of newsjacking is now popular enough to be selected. Newsjacking is great for nonprofits because when there is something in the news, your expertise or the way that you help people may be in demand. The most obvious example would be a natural disaster and how organizations like the Red Cross benefit by being the voice of reason when times are tough. As journalists scramble to cover breaking news, the basic facts—who/what/when/where—are often fairly easy to find. That’s what goes in the first paragraph of any news story. The challenge for reporters is to get the “why” and the implications of the event. Journalists want to quote someone in the story. All this is what goes in the second paragraph and subsequent paragraphs. That’s why the newsjacker’s goal is to own the second paragraph. If you are clever enough to react to breaking news very quickly, providing credible second-paragraph content in a blog post, tweet, or media alert that features the keyword of the moment, you may be rewarded with a bonanza of media attention. And that media attention can often lead to significant donations of money or time by people eager to help when the moment is right. You’ve said “you are what you publish.” What makes for great content? We’re living in a time when we can reach the world directly, without having to spend enormous amounts of money on advertising and without investing in huge public relations efforts to convince the media to write (or broadcast) about our work and services. There is a tremendous opportunity right now to reach audiences in a better way: by publishing great content online; content people want to consume and that they are eager to share with their friends, family, and colleagues. I’m not suggesting that nonprofits abandon all their offline marketing. However, it is obvious that a primary way that people solve problems today—and how they research organizations—is to go to the web. If you aren’t visible online, you don’t exist. It’s as simple as that. Buyer—or donor—personas are the king of marketing. A focus on personas allows you to create the content that’s right for that audience. A persona represents a distinct group of potential customers or supporters; an archetypal person whom you want your marketing to reach. Targeting your work to personas ensures you’re putting your message in front of the right people at the right time. Incidentally, my use of the word “buyer” applies to any organization’s target customers. A politician’s buyer personas include voters, supporters, and contributors; universities’ buyer personas include prospective students and their parents; a tennis club’s buyer personas are potential members; and nonprofits’ buyer personas include individual donors, prospects, and volunteers. Go ahead and substitute however you refer to your potential customers in the phrase “buyer persona,” but do keep your focus on this concept. It is critical for success online. By truly understanding the market problems that your products and services solve for your buyer personas, you transform your marketing into valuable information people are eager to consume, and that they use to make the choice to support your organization. Create the kind of online content that your supporters naturally gravitate to. Take the time to listen to them discuss the problems that you can help them solve. Then you’ll be able to use their words, not your own. You’ll speak in the language of your buyer, not the language of your founder or executive director. You’ll help your marketing get real. Why is real-time marketing necessary for nonprofits to integrate into their work? Gone are the days when you could plan out your marketing and public relations programs well in advance and release them on your timetable. It’s a real-time world now, and if you’re not engaged, then you’re on your way to marketplace irrelevance. Real-time means news breaks over minutes, not days. It means ideas percolate, then suddenly and unpredictably go viral to a global audience. It’s when companies develop (or refine) products or services instantly, based on feedback from customers or events in the marketplace. And it’s when businesses see an opportunity and are the first to act on it. What counts today is speed and agility. This real-time mindset recognizes the importance of speed. It is an attitude to business (and to life) that emphasizes moving quickly when the time is right. Developing a real-time mindset is not an either/or proposition. I’m not saying you should abandon your current business planning process. Nor do I advocate allowing your team to run off barking at every car that drives by. Focus and collaboration are essential. The smart answer is to adopt a both/and approach, covering the spectrum from thorough to nimble. Recognize when you need to throw the playbook aside, and develop the capacity to react quickly. How can nonprofits use today’s communication tools to their advantage, and boost engagement with their donors and community at large? I think what is important is considering where people go for their news and information and being in the right place at the right time. Some people are visual and go to Instagram. Or they prefer video and go to YouTube and streaming services like Facebook Live. Or they prefer Twitter. You need to be where your audience is. And one for fun…You also wrote Marketing Lessons from the Grateful Dead. What’s your favorite song by the Dead? Want to hear more from David Meerman Scott about newsjacking and how nonprofits can take advantage of the 24/7 news cycle? Register for tomorrow’s Virtual Conference Webinar, Back to School for Year-End Fundraising.